Let me just first off say that Order of the Phoenix had the most intense ending of all time. I had to re-read the last few pages because I wanted to fully understand what was happening. I was literally sweating during the final battle because so much happened all at once! I was immediately struck and caught off guard when one my favourite characters, Sirius Black, was killed. HE WAS THE LAST BIT OF FAMILY HARRY HAD WHO UNDERSTOOD AND CARED FOR HIM! UGH! WHY VOLDEMORT, WHY! Does anyone else feel a little scared saying Voldemort’s name out loud? Just me? Ok. It reminded me of why everyone is still unhealthily obsessed with this series. If there are common themes everyone can relate to, it’s life and death. Anyone can relate to Harry in one way or another. Whether someone you loved has died, you had to make friends in a new environment, felt like an outcast or if you needed to step up and be brave for other people – there is a little Harry Potter in all of us (cheesy, but true). That is what makes this book (and series) relatable, exciting and comforting. 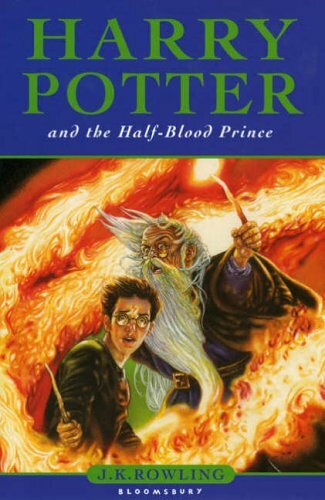 Anyway, now I’m on to the sixth book, Harry Potter and the Half-Blood Prince! I was told that it gets a whole lot darker. Yikes! P.s. Order of the Phoenix was an amazing movie! I watched it after I read the book and it portrayed the book wonderfully! Don’t you agree? Order of the Phoenix was not my fav, maybe cause there was just too much angst. It wasn’t my favourite either, but I loved the ending!